Watercolour "View of the previous Armoury building in the Moscow Kremlin"
Russia, first half of the XIXth century. The Armoury museum's foundation is referred to the date of March, 10, 1806. 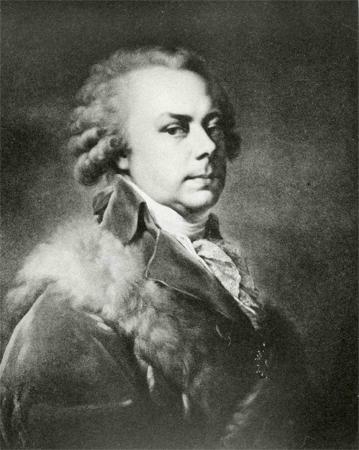 That day Emperor Alexander I signed a decree "On rules of administration and preservation of valuables of the Workshop and Armoury Chamber", which accomplished the process of the royal depositories' transformation into a museum, started by Peter the Great. The same year on the place of the Trinity Court, upon the project of architect I. Egotov, construction of a special museum building was started. Having been constructed in the classical style, the building of the Armoury Chamber successfully completed the ensemble of the Senate Square. The concept, forming of the staff and carrying out of the basic activity for the museum's creation was realized under the supervision of secret councilor P. Valuev. By 1810, the construction work was completed. However, it was not possible to open a museum in the new building. In June, 1812, the Napoleon army invaded Russia as well as Moscow. The Imperial treasury has been transferred to the city of Nizhniy Novgorod. 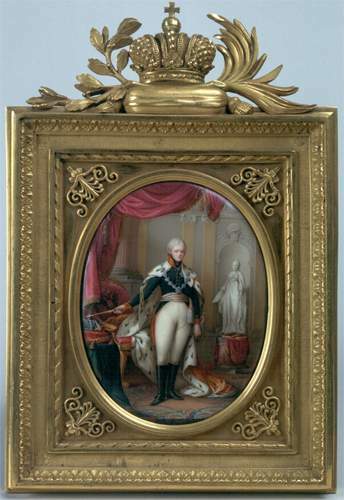 Exhibits were safely returned to Moscow by summer 1813, and in 1816 the first museum exposition was open for visitors through the efforts of the outstanding statesman, senator and patron of arts N. Yusupov. Two-storied building of the Armoury Chamber includes the archives, depository and model of the palace - the unrealized project, executed by V. Bazhenov for Catherine II. The main exposition was placed on the second floor, consisting of the state regalia collection, the exposure complex of the "crowns of the conquered reigns" (Crowns of Kazan, of Siberian, etc. ), ambassadorial gifts and armoury collection (swords, shields, armours, flags). According to the highest Decree of Emperor Nicholas I, on August, 22, 1831, the name of the museum was changed to "The Moscow Armoury Chamber". 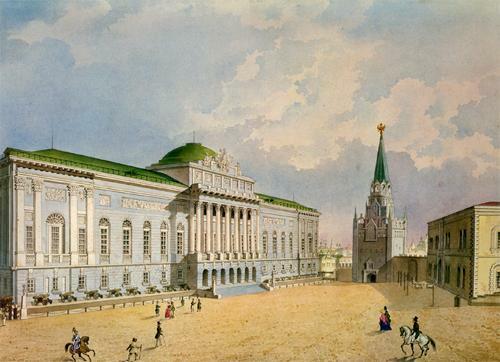 In 1838-1851, a new palace complex in "national Russian" style was erected in the Kremlin on the project of K. Ton. It included the Grand Kremlin Palace, building of Apartments and more convenient and gorgeous building of the museum - the Moscow Armoury Chamber. In 1858, the Rules on management of the Moscow Armoury Chamber, were authorized. 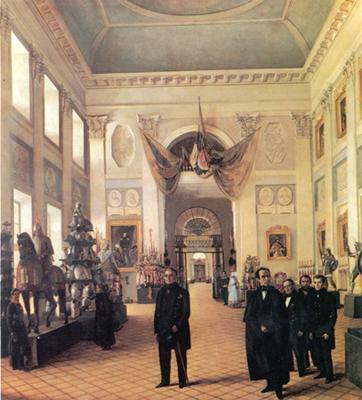 In 1852 the museum exposition was placed in the new building of the Armoury Chamber, which became the representational constituent of the whole Grand Kremlin Palace's complex as the Imperial treasure-house. 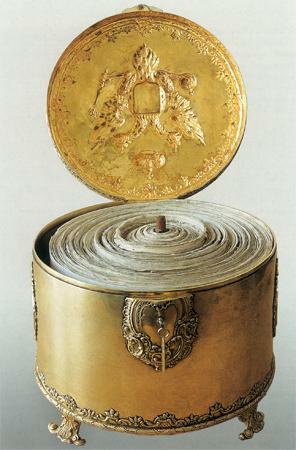 Nowadays The Armoury Chamber preserves ancient state regalia, ceremonial tsar's vestments and coronation dress, vestments of the Russian Orthodox Church'es hierarchs, the largest collection of gold and silverware by Russian craftsmen, West European artistic silver, ceremonial weapons and arms, carriages and horse ceremonial harness.